Very good people to do business with. We made a deal on a jeep an although several other people wanted it, they kept their word. Great people and a great local business. 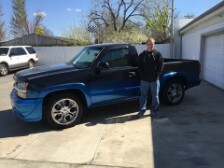 Very pleased with the truck and staff at the dealership. These guys were great! Great service, very nice and honest. They had a great selection of cars, all of which looked really nice. We came from out of town to find what we wanted and I would recommend these guys to anyone! Thanks again! Enjoy your Nitro Jason, thank you. These guys are great! Very helpful and patient with me even though I wasn't sure what I was wanting. All of the cars are very clean and most have lower milage. I highly recommend them for anyone. As for the other bad reviews, you can take the car to a trusted mechanic if you are worried about it. You are buying a used car so there are occasionally issues. Have fun in your new Challenger. Thanks for making the trip to Oklahoma!! Reviews on the internet were very positive. Checked local BBB reviews and Quality Value Auto Sales received an A+ rating. The process of buying a car was made easy. I appreciate that because it can be a hassle. At Quality Value Auto Sales we are proud of the quality used cars we sell and our dedication to serve the needs of our customers. This is reflected in the amount of repeat business we receive. Whether this is your first purchase with us or one of many that you’ve had, you can count on our dedicated sales staff to make it the best buying experience possible. 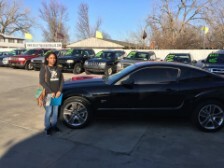 Greg was great through the whole process of getting my daughter's first car. Wonderful, clean facility. In all my years of buying cars, this has been by far my easiest and best experience. 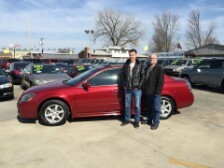 Regina and Ron were first very knowledge about the Camry, secondly their customer service was over the top. They made sure ALL of my needs were met in a timely manner and very courteous. Thank you. Thank you. Thank you. Quality car and easy working deal with them. Good and friendly service. Not pushy, would buy here again. 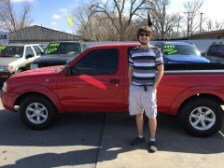 Bill and I were absolutely thrilled with the friendly and courteous manner Kasey and her parents treated us. We felt as if we'd known this family for years. Just the best company to work with. 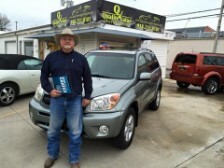 We had a great experience at Quality Value Auto Sales. Would definitely do business with them again and would recommend to others. Both gentlemen I spoke with were exceptional. Extremely helpful and easy to work with. Great cars, clean lot, and straight forward and honest salesmen. Was a great deal and nice people. Good inventory to choose from. Previous customer, just purchased second car here. Good deal! Great to work with these folks. No pressure or lies! Has been a great experience! Would buy again, thanks. Pleased. Very happy with the services they provided me. Found on carsguru.com. No pressure, very helpful. Answered all my questions. Very good service. Friendly salesman, #1 seller. Good to deal with. I felt like I was treated honestly without any used car sleaze. I'll recommend to friends and family. Like these people. They took care of me. I came to Quality because they had good reviews and good deals. Will recommend them to friends. 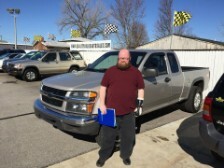 Absolute best used car buying experience a person could ever expect. Will buy and send customers to this dealership. Very good overall. 5 star customer service. The service was great, the price was fair and hassle free. Definitely a repeat customer. Great value, easy process. 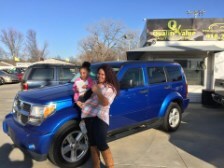 I had a wonderful experience purchasing a vehicle from Quality Value Auto Sales. The process was fast and easy. I highly recommend Quality Value Auto Sales. It was easy with no problems. Drove from Salina, KS and everything went smooth! Thanks. Good cars and good service. I had good customer service. 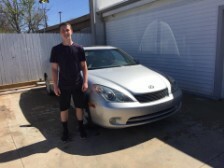 Thank you for helping me find a good car. Nothing but great, great, great. 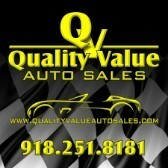 I would recommend Quality Value Auto Sales to all my family and friends. Super nice and helpful with everything. I will be back in the future. Everything went smooth with no surprises. I recommend this dealer. Nice people. Not pushy. Great customer service. Overall wonderful experience. Dealership has great customer service. They are the exception to 5 star service. Good service. Fast, good price and great selection. Good experience. Best vehicle. Best value. Salesman was very helpful with no high pressure. Great selection. Helped us with Streamline finance. Good service. Second car we have bought here. 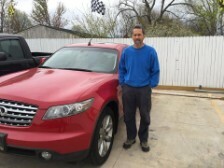 Very courteous., friendly, professional and was not the typical "sleazy" car dealership. Allowed me to test drive as many cars as I wanted and stayed late. Very fast on the paperwork process, also very helpful and informative on the vehicles. Overall a great place to buy a car. Nice car. Greg was helpful and courteous. Nice and clean BMW 325i. Thanks. Great experience. Very helpful and friendly. I will definitely be back. Friendly, straight forward. Would do business here again. Great service!! :) A pleasure to deal with. The car lot caught my eye as I was driving by. They had the vehicle I was looking for and they were great to deal with. They had what I was looking for. Great company, no hassle, very polite. I would recommend them. Bought a car here before, great customer service. No pressure. Thrilled with my experience. I was very impressed with the standard of quality that I found on their lot. I found just the perfect vehicle for me They gave me fast and courteous service and held my car until my financing came though for a small deposit. I'm thrilled with my 2005 Tahoe! Very honest and knowledge. Greg was great to work with. Good selection and prices. Fairly priced. Clean cars and all competitively priced. Good business to do work with. Great experience- What car buying should be. Great people to work with-No hassle and very straight forward. I would gladly do business here again! Good value. Searching for vehicles and found exactly what I was looking for. Price was reasonable and vehicle was as described. Great customer service. Answered any questions that I may have had. Very nice guys. Great service. Wonderful service., friendly folks and trustworthy. Bought my van with them because they offered the best deal for a quality vehicle. Super clean merchandise, fair price. Brother bought a car here about a year ago, so I came because of his experience. Went well. Quick service. Definitely welcome as soon as I walked in. Good overall quality. I was impressed with cleanliness and maintenance of the truck. Greg was easy to talk with. Awesome place. Very reputable and trustworthy. They do you right. Very friendly service, easy to deal with. I drove 150 miles just to see what they had, after getting here I was very impressed with the kindness and service. Had a great selection of vehicle. Service was great. I thought the car was very clean. Very simple, very direct. I like that! Five star customer service. Very friendly, easy process, no pressure atmosphere! As advertised. Found dealership after cars.com search. Saw 4.9 average rating on 79 previous reviews. Found dealership staff and quality of the vehicle just as I had expected. Would recommend them. Bought a used car here. Great experience. No pressure. Very friendly and pleasant experience.